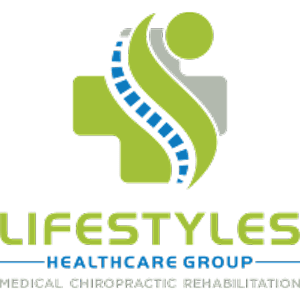 Dr. Stokke believes in the power of natural healing and stresses the importance of spinal health for professional athletes as well as those who just enjoy staying active. He offers a variety of chiropractic care treatments that have the potential to relieve your pain, prevent injuries, and even improve your game. Dr. Stokke took an interest in holistic medicine after suffering a neck injury during a high school football game. At this time, he realized how medicine provides temporary relief from pain, but doesn’t correct it. Dr. Stokke then sought out advice from a chiropractor who had a tremendous impact on his discomfort using noninvasive procedures like a spinal alignment. The chiropractor alleviated his neck pain, sleep disturbances, and even chronic migraines. Shortly after discovering the power of chiropractic care, Dr. Stokke began his education to earn his doctorate of chiropractic. By 1996, he completed his doctorate from Northwestern Health Sciences University in Bloomington, Minnesota, which provided him with knowledge of holistic treatments, as well as the skill to help others the way that chiropractor helped him. As an avid sports participant for many years, Dr. Stokke understands the connection between physical activity and accomplishment. For this reason, Dr. Stokke enjoys improving the game of athletes and helping them reach their goals. He has worked with well-known sports figures, including Minnesota Twins pitchers Kyle Gibson and Trevor May. Additionally, Dr. Stokke and his team assist anyone who wants to improve their physical health or is in need of pain relief.